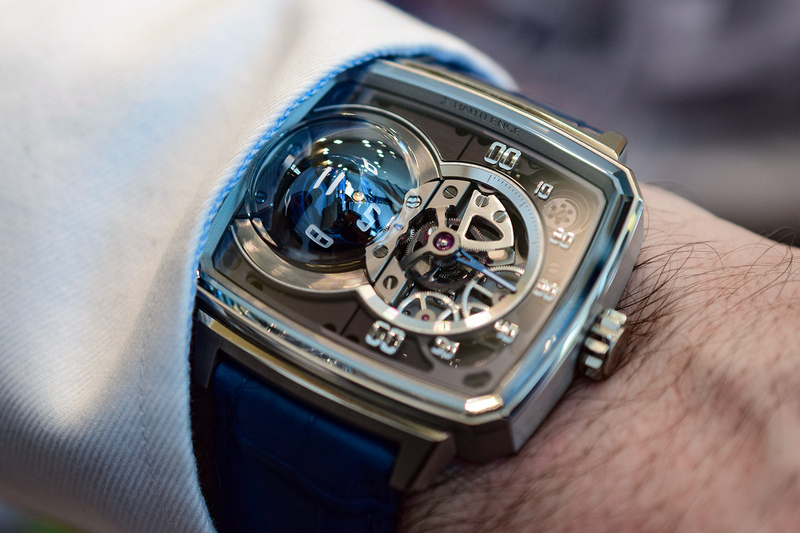 At Baselworld 2019, hautlence launched its 8th manufacture calibre, and they marked this achievement with an exceptional new timepiece the Hautlence HL Sphere. This to me is a true Hautlence in the sense that it plays with the way we display and read time. 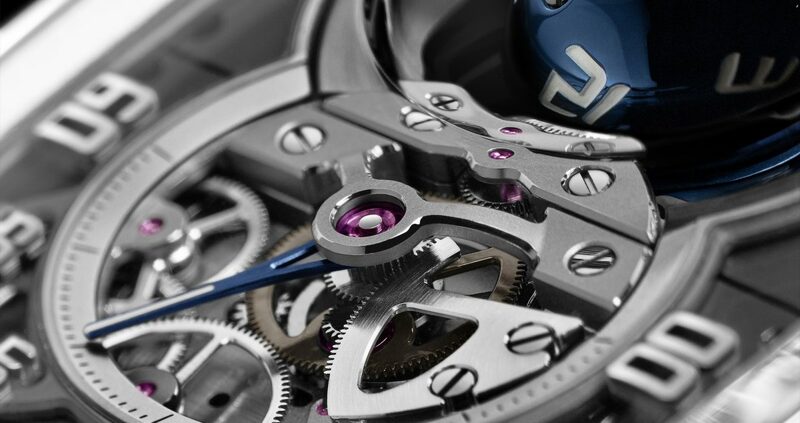 The watch features a jumping hour, on the sphere on the left. The sphere rotates on itself through three rotation axes to show the hour. When the hour changes, the sphere makes a unique little dance seemingly celebrating the dawn of a new hour, It is a joy to behold and unlike anything I’ve seen to date. 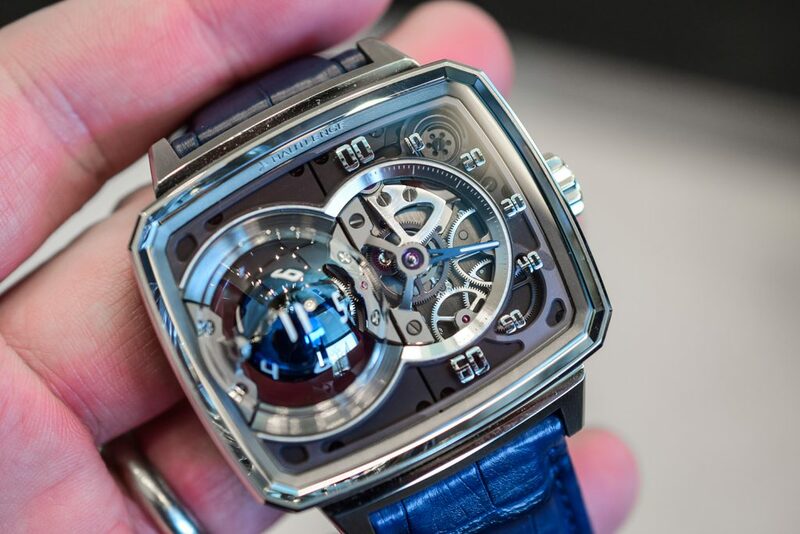 As you may have noticed it also features retrograde minutes on the right, which means that when the minute marker reaches 60, the arrow goes back to 0 minutes in a well controlled fashion. The white gold case has Hautlence’s signature tv screen shape which wears well on the wrists since it is a design that follows the natural shape of your wrist. 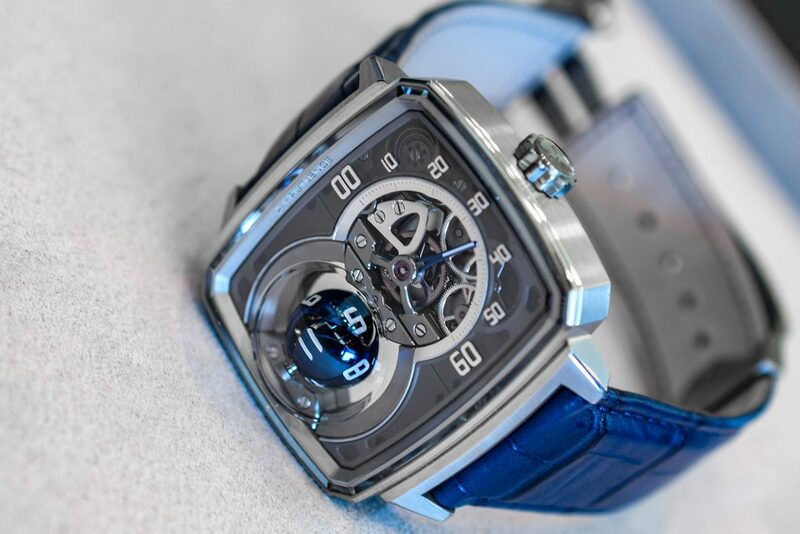 Overall, this is a remarkable watch made by Hautlence and one of the most intriguing ones I’ve seen on display at Baselworld 2019. Difficult to put into words, so just have a look at the video instead! Incredible stuff! Great video too Jan! So different! Did they invent this spherical concept? Don’t think I have ever seen it elsewhere.